After attempting to kidnap Katara and Sokka, Southerner Gilak leaves a haunting note for Hakoda: 'Soon you will see the truth, Chieftain.' 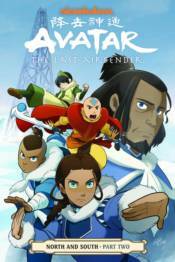 The vow leaves everyone on edge-including Katara, who remains wary of the two tribes' integration. As Northerner Malina announces a partnership with the company owned by Toph Beifong's father, her own brother comes forward with a revelation that shocks everyone. Have Katara's worst fears been confirmed?